Today with the help of PCB design software, you may not need to go through the hassle of building tens and hundreds of PCB footprints by yourself. But in the rare case that you need to, here are some tips that you should keep in mind. Datasheets normally came with the detailed information for your PCB footprint. While you’ll seldom make mistakes when referring to datasheets, there are occasions where the units of measurement are not given in a simple datasheet. The standard of measurement usually use millimeters or inches, but the wrong unit means a disaster to your whole design. It’s easy to just create your footprint based on the exact pad size as recommended by the technical datasheet. But if you’re planning to manually solder the components for your prototype, it’s better to have a larger pad size. When you’re working with SOIC or QFP package, having a longer pad size makes it easier to clean up the solder lead and that is critical for your circuit to be functional. 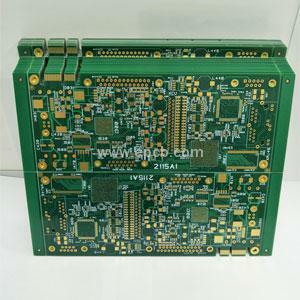 You need to make the pin orientation on the PCB footprint clearly visible. This will help you standardize the component arrangement during the design phase. And your printed circuit board assembly supplier will make lesser mistakes in components placement in the assembly process as well.